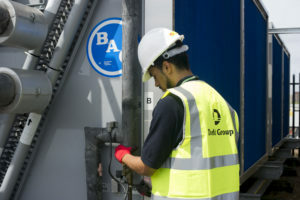 All our mechanical and electrical services are carried out by Dodd Group. This includes reactive, cyclical and planned maintenance of all heating, electrical and air handling/air conditioning installation. This is provided to all types of properties, including social housing, town halls, other civic buildings, schools and academies. Dodd Group currently maintains and services mechanical and electrical systems in over 205,000 homes nationwide. This is in addition to carrying out refurbishment and maintenance works in non-domestic properties such as schools, museums and libraries.